Glebe Town Hall was the first of a series of major public buildings in this street that displayed the increasing prosperity and civic pride of the suburb in the 1880s. Glebe’s history in terms of local government has been piecemeal: it was a separate municipality from 1859 until 1949, when the City of Sydney expanded to take over The Glebe and seven other suburban municipalities. In 1968 the City lost most of the areas it had acquired, and Glebe became a part of Leichhardt Municipality. Glebe was returned to the City in 2003. 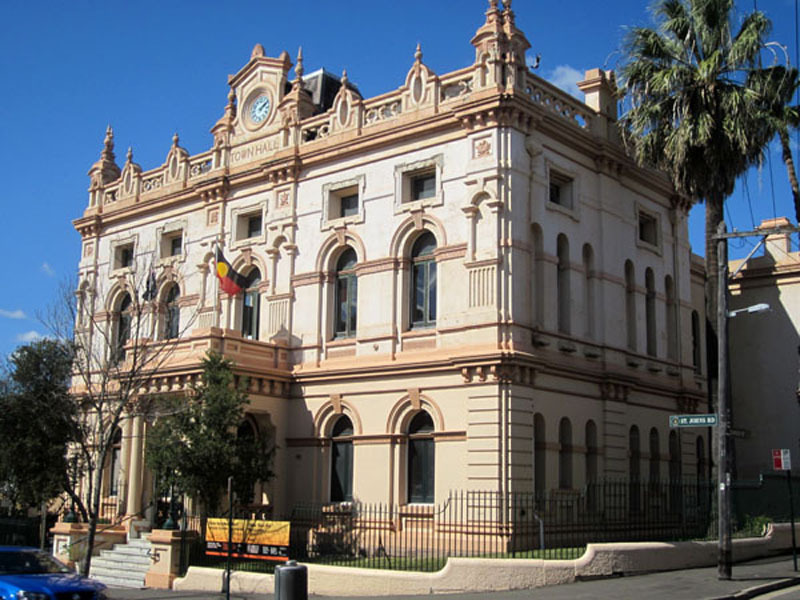 Glebe Town Hall is the most elaborate example of the Italianate style in Glebe. Its tall, almost cubic proportions are due to the comparatively narrow frontage available in St Johns Road between Lodge Street and Mt Vernon Street. 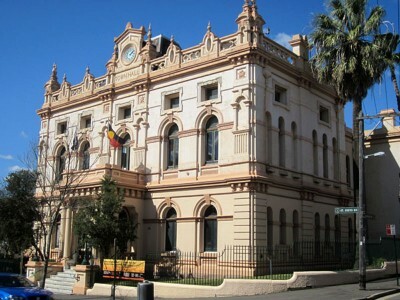 The City of Sydney has recently completed refurbishing Glebe Town Hall.